A Celebration of the Life-Changing Impact of 4-H Brings Together Prominent Alumni and Leaders at National 4-H Council Legacy Awards in Washington, D.C.
WASHINGTON, March 21, 2018 /PRNewswire-USNewswire/ -- At the 9th annual National 4-H Council Legacy Awards nearly 450 business leaders, philanthropists, celebrities, prominent alumni, special guests and dignitaries joined National 4-H Council at the Ritz-Carlton in Washington, D.C., to recognize the accomplishments of our nation's youth and those individuals that make it possible for millions of young people to learn important life and leadership skills through 4-H youth development programs. 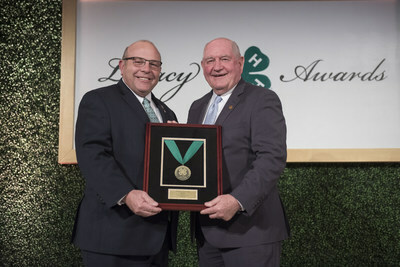 Of the notable attendees, Honorable Sonny Perdue, U.S. Secretary of Agriculture, received the Abraham Lincoln Vision Award and Zippy Duvall, president of the American Farm Bureau Federation, received the Distinguished 4-H Alumni Medallion. During the event, taking place on National Ag Day, both shared personal reflections on how young 4‑H'ers provide hope and faith for the future of American agriculture. Duvall joins a prestigious group of 4-H Distinguished Alumni Medallion recipients, including such 4-H alumni as Facebook "News Feed" inventor Andrew Bosworth, actress and producer Aubrey Plaza, songwriter and musician Jennifer Nettles, and professor and best-selling author Temple Grandin, Ph.D. 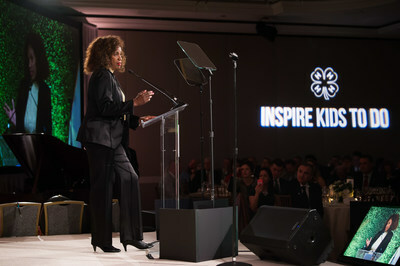 In addition, the evening served as an opportunity to formally announce a partnership between National 4-H Council and six-time Olympic medalist, philanthropist and youth advocate, Jackie Joyner-Kersee. The partnership will include the establishment of a 4-H Club at the Jackie Joyner-Kersee Center in East St. Louis, IL., as well as agriculture program learning opportunities for urban communities. Cassandra Ivie, 17, of West Jordan, Utah, was also selected as the national winner of the 2018 National 'Youth In Action' Award and will receive a $10,000 scholarship, sponsored by HughesNet®. 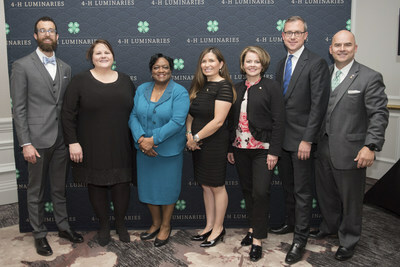 Finally, the induction of the 2018 Class of 4-H Luminaries took place with the addition of seven accomplished and influential 4-H alumni that will help raise awareness of the life-changing 4-H impact and generate support for bringing 4-H to more youth in need. 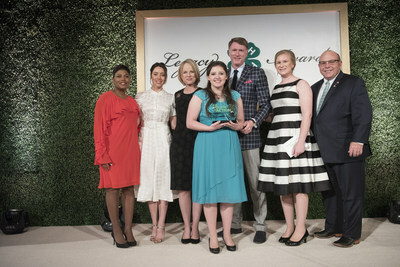 Thanks in part to the support of Legacy Premier Partners Microsoft and New York Life, the event serves as National 4-H Council's premier fundraising event inspiring supporters to help grow true leaders and reach 10 million young people through 4-H by 2025. 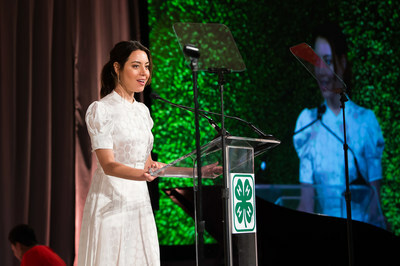 To view more photos from the 2018 National 4-H Council Legacy Awards, visit www.4-H.org/gala.